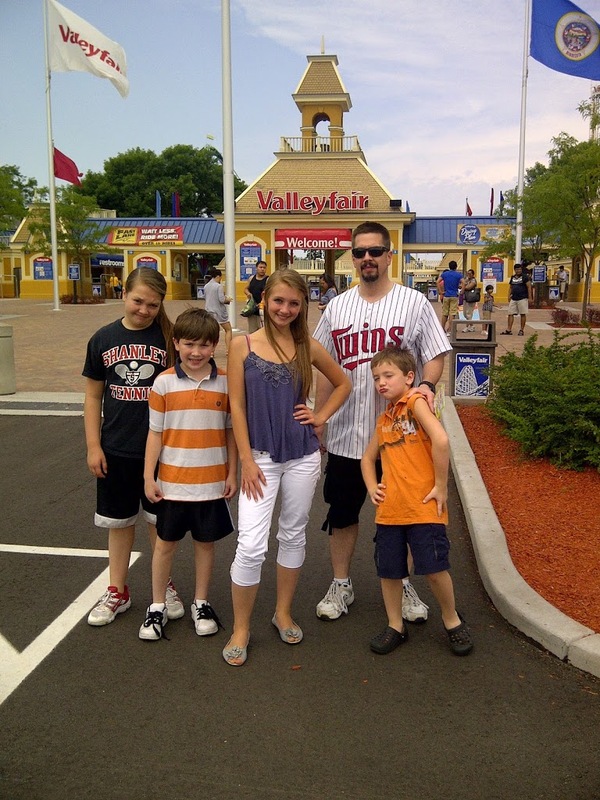 Last week at this time, we were just leaving the parking lot of Valleyfair in Shakopee, Minnesota. Though VF was our prime destination spot, we actually eased into the experience the day before, taking in a slightly tamer ride at the Mall of America. Yes, we’re really INSIDE the mall here. Our oldest two had been to VF already through school trips, but our youngest three have been denied the experience of the rollercoaster rush. Our typical vacation spot is generally more along the lines of Itasca State Park, but we diverged this year. We were waiting for the right time, and this summer was it. Our 7-year-old was finally over the 48-inch tipping mark. 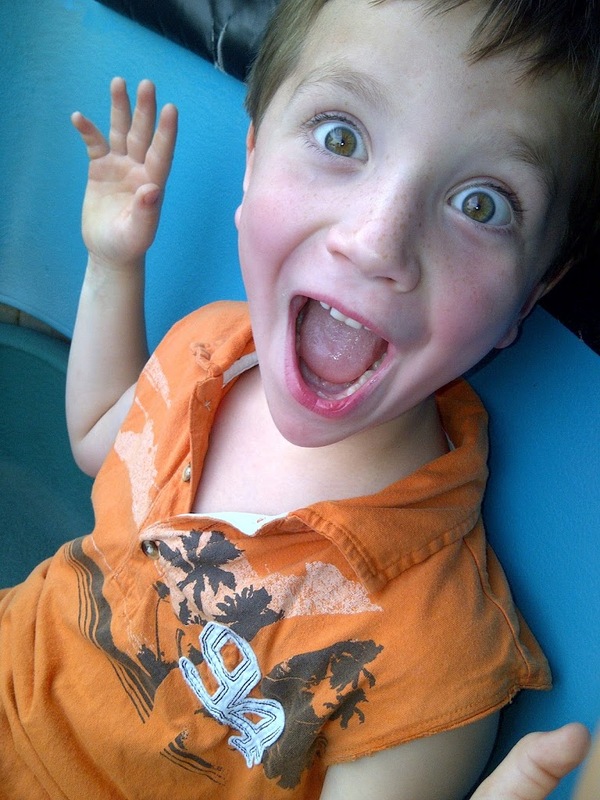 Which meant, he, the bravest soul of us all, was ready for the big guns…er, rollercoasters. Honestly, these rides have gotten much more advanced since I was a brave little girl, wishing I could go on the wild rollercoasters my sister was tall enough to ride, but not always as excited for as I was. Now, I have to admit, these new rides are crazy train! I mean, really. 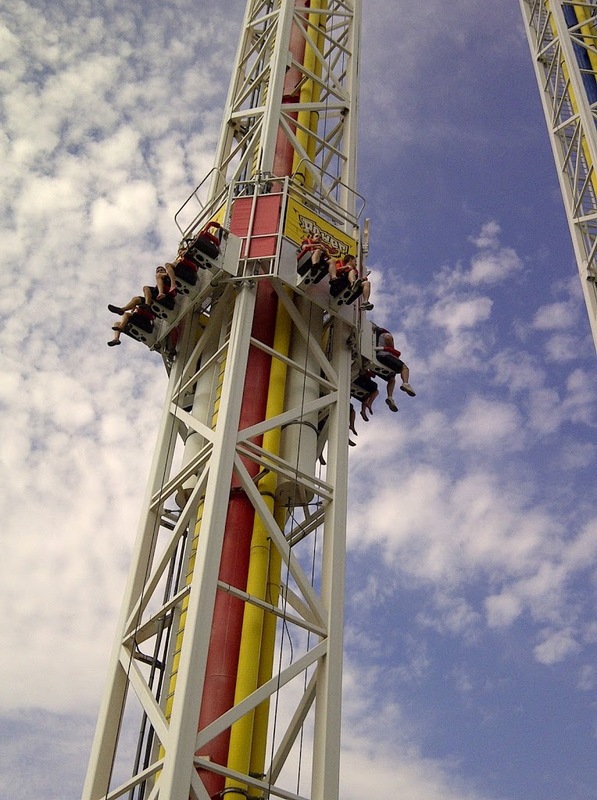 In the past, I never understood how people could be sick on rides, which I always only experienced as one big thrill! But I’m a little more wary these days. I look at what these rides are doing to the human beings that climb on board, and something about it doesn’t seem quite right. I mean, seriously? Humans were meant for this kind of thing? And yes, I went on The Power Tower. Beth had been on it once before and assured me it was fun. By the time she admitted that the instant drop from a height of, who knows exactly, was a little terrifying, it was too late. “I’m going to die!” I said as we dropped at an insane pace to the depths below. Is it just that I’m older now and think too much about it? 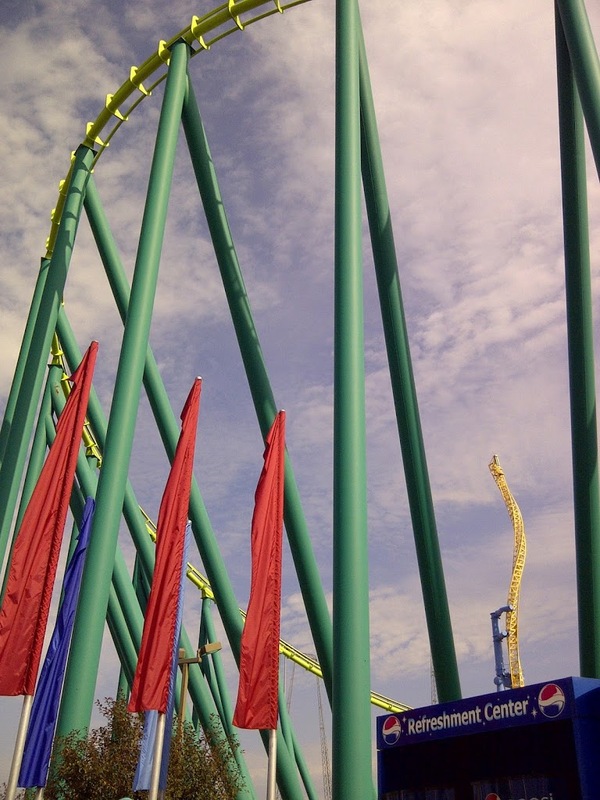 Well, if you enjoy speeding downward at a 90-degree angle after a half-mile climb, you’ll love the new coasters. 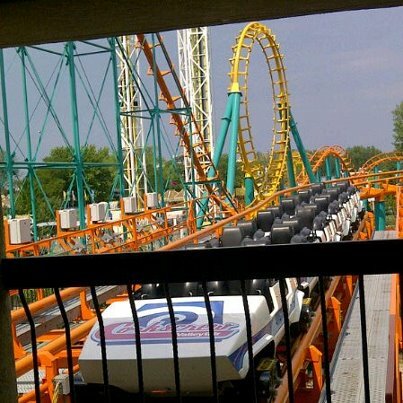 I prefer the Corkscrew, which takes the rider upside down and all around, but doesn’t demand such drastic drops. Our oldest decided to pull a little prank of sorts. 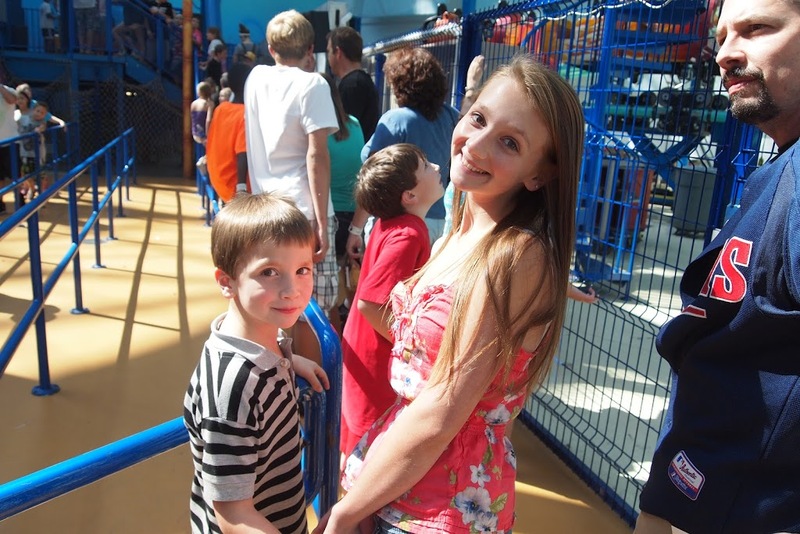 Whenever the camera would appear along the rides, he would strike a calm pose. So when we’d go to check the photos at the end, everyone would be screaming and losing their minds in them, and he would be perfectly calm, a finger resting on his chin as if he were meditating rather than going at speeds not made for human beings. It was a hot day. We’re not the sort to get hyped up on hot, but luckily, the clouds hung around for bits, which helped. By the time the sun began shining again, we knew our time had almost run out. 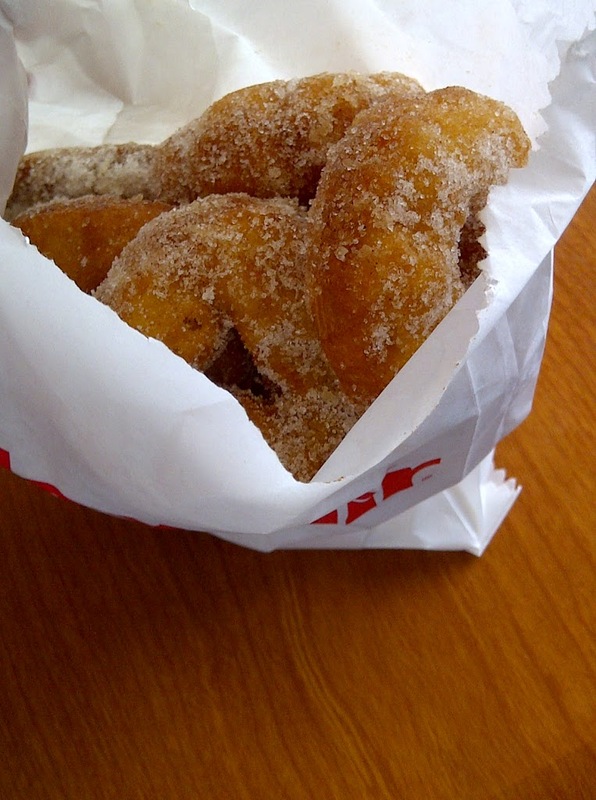 But not before a trip to Cinnabon for mini-donuts. You can’t go to Valleyfair without gobbling down a few of these babies. Oh, and I have to mention the Salonen Valleyfair 2012 Trip Blunder. Against our better judgment, Daddy Troy talked us into the Flume just a few rides into the day. I’ve always looked at the people who take on this watery ride and wonder why they would let themselves become sopping wet with a whole day ahead of them. Can anyone say, soggy underwear? Yet, in our “we just got to Valleyfair” euphoria, we succumbed, and lived to regret being blasted with H2O. It meant buying a few pieces of attire at the gift shop before moving on with our day. Well, I can’t say it wasn’t a blast. (Everything was wet so I couldn’t take pictures of the Flume experience.) For those who can’t quite swing Disney, I’d count Valleyfair among the best, close-to-home alternatives. An experience like this definitely brings out the kid in everyone, and we can all use a bit of that every once in a while. 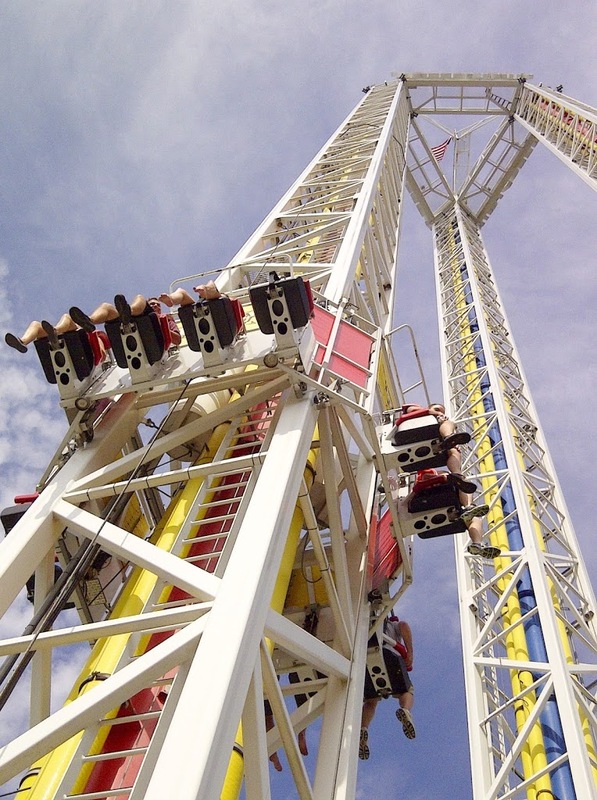 Q4U: When did you last ride a rollercoaster? What do you remember about the experience? What a fun-filled family vacay! Can I admit something- I’ve never been to Valley Fair… EVER. 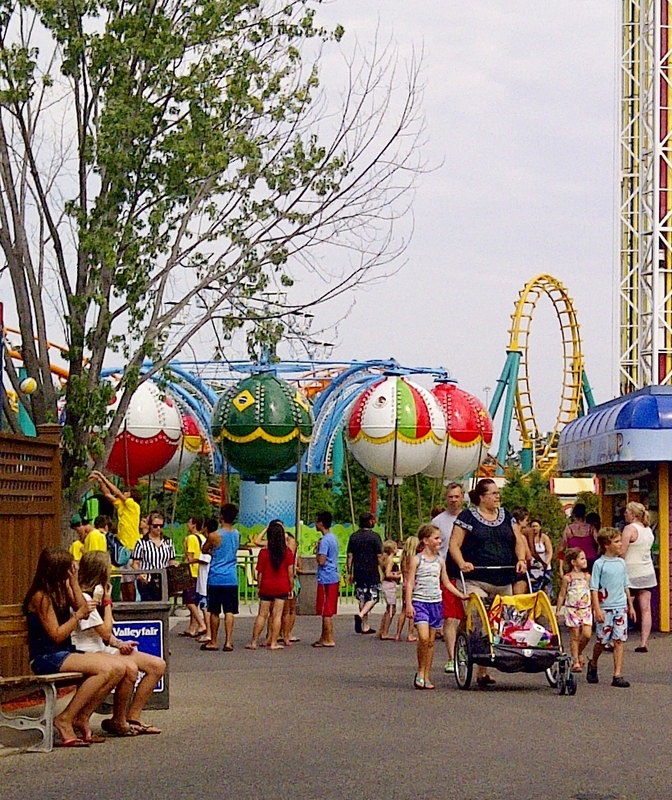 I’ve been to Disney and Hershey Park and the MOA, so I do know amusement parks… but seriously, just not Valley Fair. The last time I rode a roller coaster was at Hershey Park and it was one deemed appropriate for small children- just my speed!